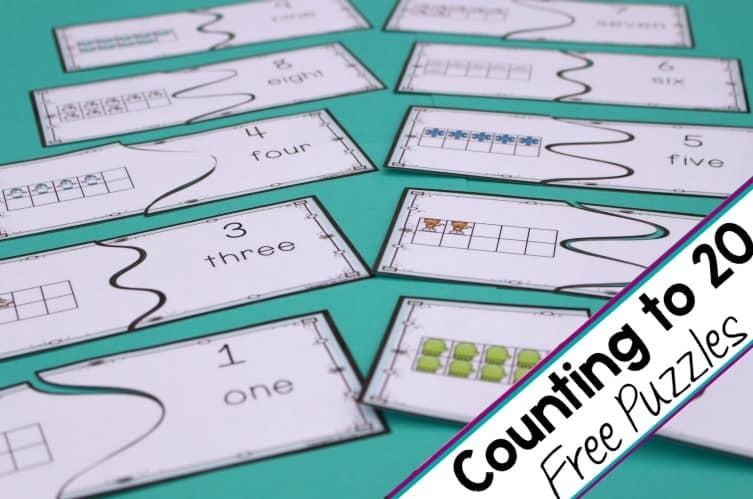 Welcome back to day 11 of the 31 Days of Free Printables for Hands-On Learning! I’ve had so much fun sharing all of these great printables with you! Be sure to follow along all month long as I share the rest of the 31 printables and if you missed any, be sure to head here and get them! 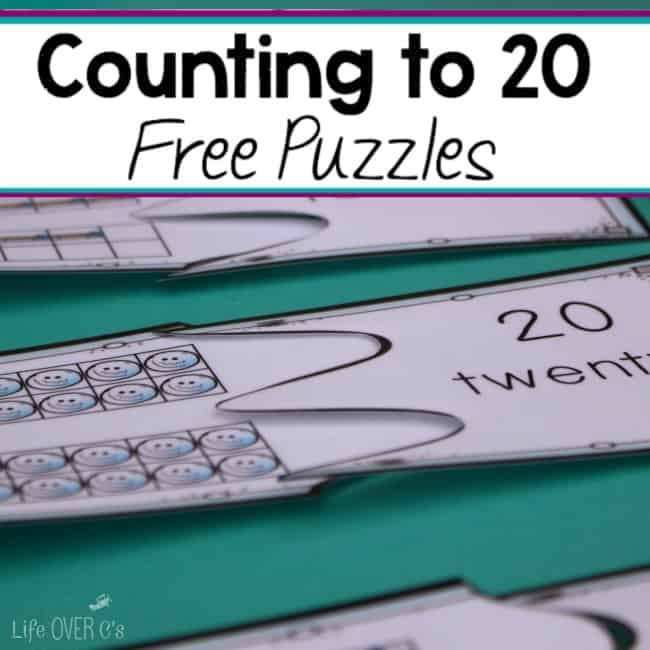 Today I have a set of free winter printable puzzles for counting to 20. Print, laminate and cut out the puzzles! 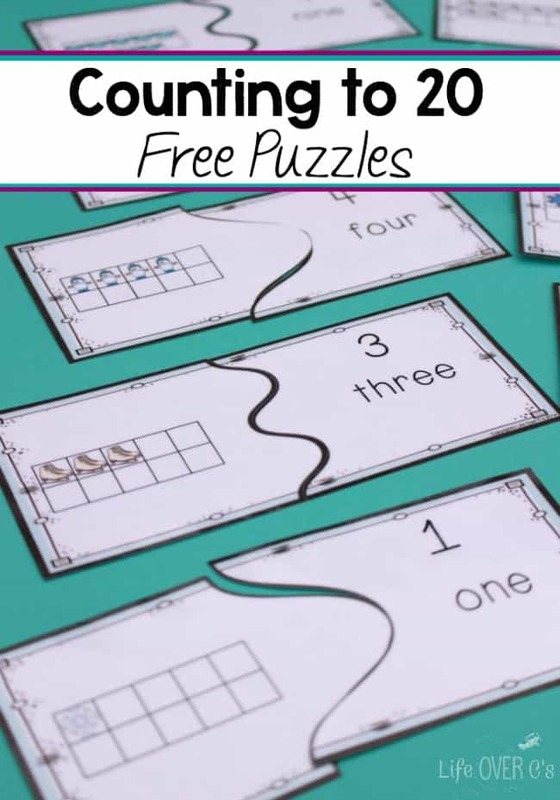 Of course, this is a very simple printable to use, but you can extend the activity by putting the puzzle pieces in a sensory bin like we did with this printable. 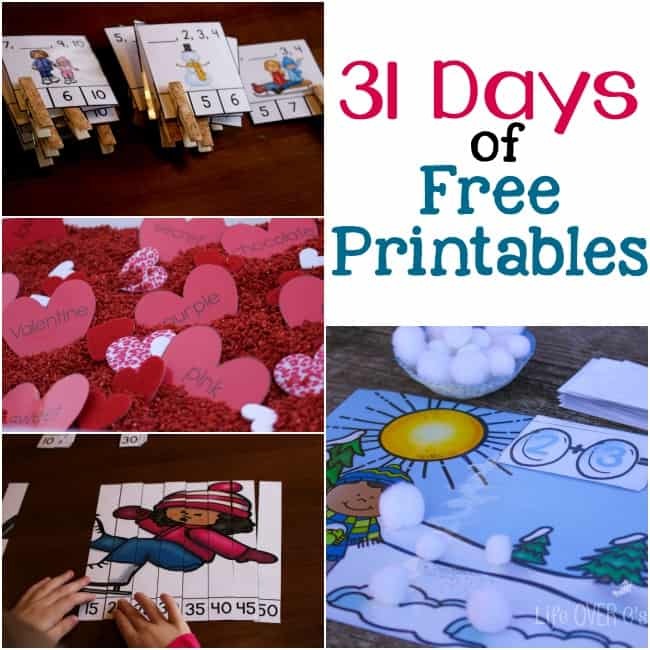 Enjoy the rest of the activities in the 31 Days of Free Printables for Hands-On Learning.